What is it with gamer girls sewing gifts for their guys? Sounds like arts-and-crafts meets Stockholm syndrome. 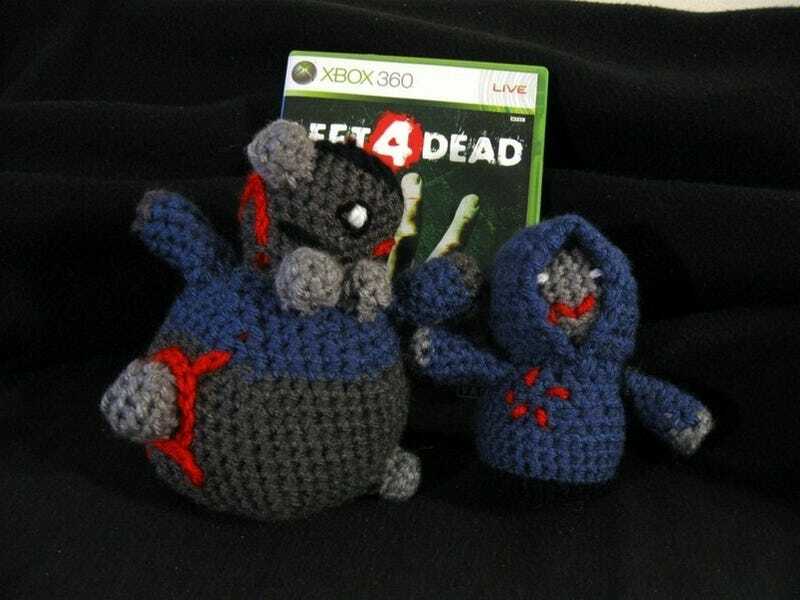 Reader Alex K's sis-in-law crocheted these adorable Left 4 Dead guys as a token of her (alienated) affection. Says Alex:"I just received the following as a birthday gift from my sister in law. She's been a mere spectator while my brother and I play through numerous Left 4 Dead campaigns ..."
The zombies are, IMHO, the best of the bunch. But no offense to Alex or his sister-in-law, the Louis doll might need a little explaining to someone not hip to games.